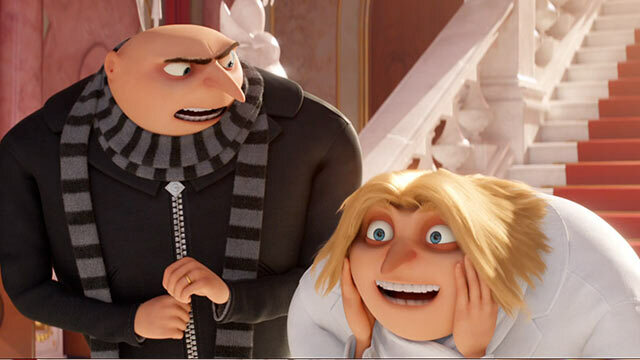 Today, Despicable Me 3 became the third movie in 2017 to cross the billion dollar mark, sitting just behind Beauty and the Beast and The Fate of the Furious. This is one of those films that very quietly joined the billion dollar club. It opened to $72 million dollars on its opening weekend, which is less than the previous two installments in the franchise, with Despicable Me 2 making $83 million and Minions making $115 million. So I think that fact, combined with the weak critical response, had many people under the impression that Despicable Me 3 did poorly at the box office. And clearly that was not the case at all. I did not see the film myself. The only film in the franchise I've seen was the first one, which I enjoyed a fair amount. But there is no doubt now that this is a popular film franchise, and a profitable one for Universal. 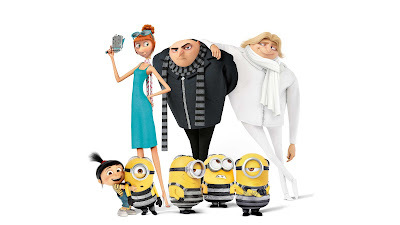 With this news, I think the announcement of a Despicable Me 4 is imminent, and I think Universal will go immediately into production on Minions 2. It's funny to me that this was so under the radar. Usually, when a movie crosses a billion dollars worldwide, it's something we're paying attention to and are anticipating. But with Despicable Me 3, I know it certainly took me by surprise, and I'm sure a lot of other people were surprised as well. Now let's look ahead to the rest of the year. What other movies have a shot at crossing the $1 billion dollar mark? We can't discount Spider-Man: Homecoming. It currently sits at $823 million dollars, and it is just now opening in China, which will be a huge market for the film. I think it's incredibly possible that within the next month or so we hear that Homecoming has joined the billion dollar club. As for new releases, I think Justice League is a possibility, depending upon the critical response to it. If it gets the same response that Batman v. Superman: Dawn of Justice got, then I think it will hit a similar number to that movie, which was $873 million. But should the critics be raving about Justice League, then I think it has an excellent shot at crossing a billion dollars, which would make it the first film in the DC Cinematic Universe to do so. I also think Thor: Ragnarok has a shot. I think it'll end up capping out around $800 million, which is a fantastic number for Marvel. But if the film is as good as the trailers and marketing are making seem, then I think it has a legitimate shot at making a billion dollars. And Star Wars Episode VIII: The Last Jedi is a no-brainer. The question isn't whether it will hit one billion; the question is whether it will hit two billion. I can't say for sure if it will or not until we get closer to the movie's release, but I think it will easily hit the one billion dollar mark. What do you think? Were you expecting Despicable Me 3 to cross a billion dollars worldwide? What other 2017 movies do you think will do the same? Leave your thoughts in the comments section below.